A painting that I remember studying and hearing much about in college is the great Adoration of the Magi by Leonardo. The Virgin Mary and Child are depicted in the foreground and form a triangular shape with the Magi kneeling in adoration. Behind them is a semicircle of accompanying figures, including what may be a self-portrait of the young Leonardo (on the far right). In the background on the left is the ruin of a pagan building, on which workmen can be seen, apparently repairing it. On the right are men on horseback fighting and a sketch of a rocky landscape. The Adoration of the Magi is a name traditionally given to the artistic portrayals of Jesus Christ’s Nativity. Three Magi, often represented as kings or wise men, find Joseph & Mary, with Jesus laying in a manger by following the Star of Bethlehem. Lupe timed the song’s release date of January 6th (Australian time), with The Epiphany – a Christian holiday celebrating the appearance of the infant Jesus to the Magi. The Magi are said to have offered him gifts of gold, frankincense, and myrrh (Matthew 2:11). 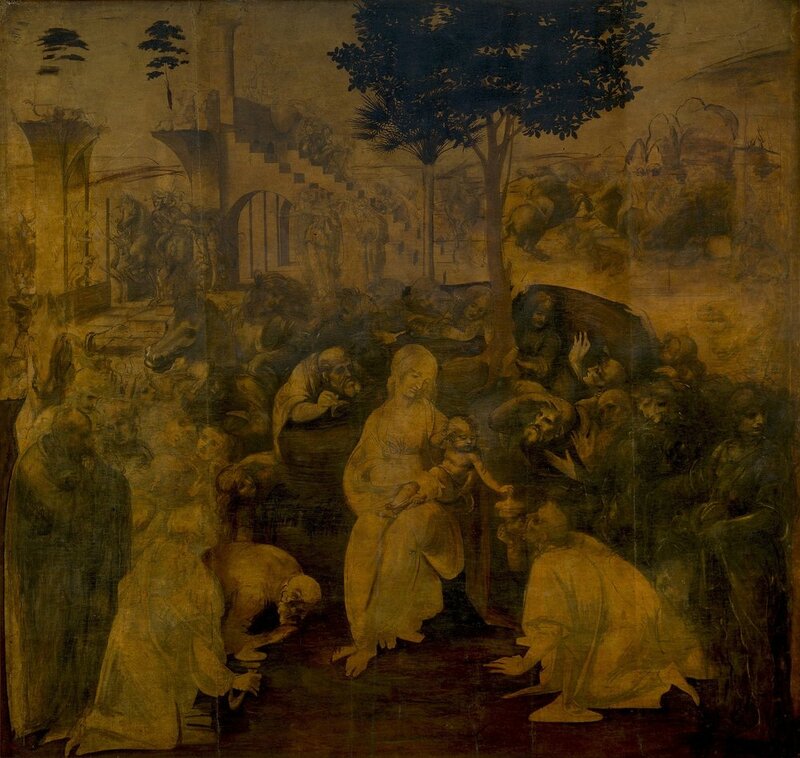 Fun fact: Adoration of the Magi is also the name of early paintings by Leonardo da Vinci and Sandro Botticelli. Tetsuo & Youth’s album art just happens to be a painting by Lupe, titled Uomo Mangiato Tigre (Man Eating Tiger). My favorite part of this song is the chorus. It has gotten the most attention from his album from my digging online. This is, analyzed by some, to literally be allusions to famous albums. "Why you ready to die?" references Ready To Die by Notorious B.I.G. "Why them tears up under your eyes?" alludes to Tha Carter III by Lil Wayne. And so on. "Your first curse word, as well as your first cursive word, occur when you are fairly young. This ties with the hook of “Adoration of The Magi” where Lupe says “you’re just a baby”. In the Abrahamic religions (Judaism, Christianity, and Islam) cursing is considered a sin, as Lupe alludes to the First (Original) Sin by Adam in Genesis. In Lu’s mind you’re neither the “first person” in a physical, or virtual sense. This ties into “side scrolling” video games – they employ a third person perspective" (Genius). Listen to the song in full above and check for more Leonardo x Lupe overlaps.